We’re also proud to offer the most extensive range of Dorking self-storage services of any provider in the area. Along with self-storage in Dorking to suit all business and personal requirements, we’re also happy to look after vehicles and larger pieces of equipment. Our facility is kept meticulously clean, dry and safe at all times and is fully insured for added protection. From long-term furniture storage to short-term business storage of any kind, we cover the lot. If you’d prefer to know your goods are in safe hands, you know who to call! But what also makes us different is our relentless commitment to flexibility. Working with us means never having to sign into a long and binding agreement of any kind. Our self-storage in Dorking is available for short and long-term use alike – all adding up to outstanding value for money. We even offer shipping container sales and hire in Dorking and across the region, if in need of more permanent storage. The list goes on – underscoring our drive and determination to cover all needs and all budgets under one roof. We’d love to hear from you to discuss your requirements for self-storage in Dorking – get in touch with the Containerstorageunits.co.uk by phone, or pay us a visit at our office anytime. We’ve built our reputation on providing services that are 100% transparent and honest. Our storage units in Dorking are kept clean, dry and well maintained at all times, while 24/7 CCTV coverage adds a further layer of security. What’s more, we’re so proud of our facility that we’re even happy to welcome customers to take a full tour of the site. If you’re yet to see what makes our storage units in Dorking stand out from the crowd, we’d love to welcome you at our facility. Whether looking for long-term car storage, short-term caravan storage or the storage of your commercial vehicles, we’re proud to offer a full range of vehicle storage services to suit. 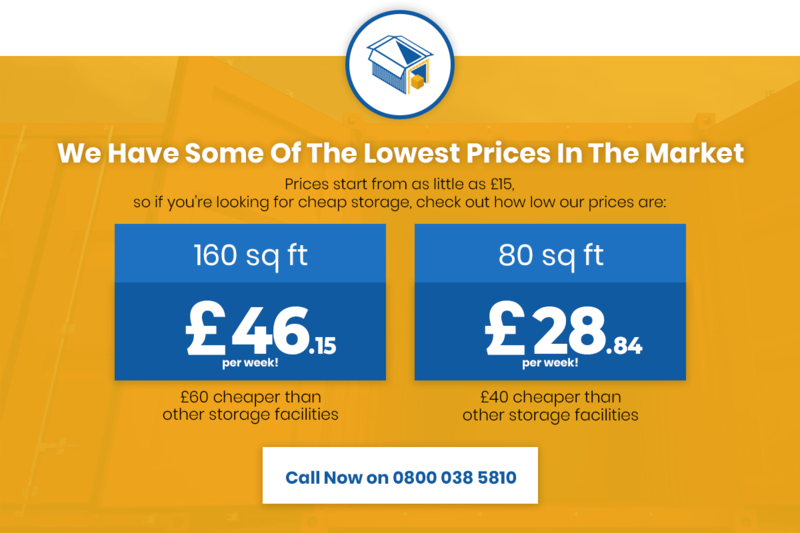 From the smallest self-storage units to the largest industrial storage units in Dorking, we cover all bases and all budgets. And for added peace of mind, we also offer a comprehensive low-price guarantee – find a better quote elsewhere and we’ll match it or beat it, no questions asked. If you’d like to learn more about any of our Dorking storage services, get in touch with the Containerstorageunits.co.uk team today. Or feel free to pay us a visit if you’d like to see what makes us tick!